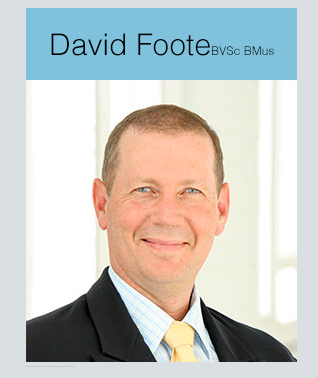 David Foote is a veterinarian, counsellor and educator who specialises in the fields of pet bereavement, stress management and burnout prevention and recovery in veterinarians. David offers a range of services to provide help, support and guidance to pet owners, veterinarians, veterinary practice and other interested organisations. Consultations are available by telephone (Australia wide) or face to face in Brisbane and Sydney. Educational seminars and workshops on 'The Human-Animal Bond and Grief', 'Stress Management' and other topics are available for veterinary practice and other interested organisations. David also acts as a consultant to the veterinary profession on individual and organisational health and wellbeing and has been involved with the Faculty of Veterinary Science at the University of Sydney since 2003, lecturing in his fields of interest and as director of the Intern Mentoring Program for final year students. For consultations or enquiries please visit his website, call or send a message.